This soup could be served warm or cold on a hot summer day. It is delicious either way. This is a modified version of Russian cold Borscht. I use baby kale instead of beet’s leaves. 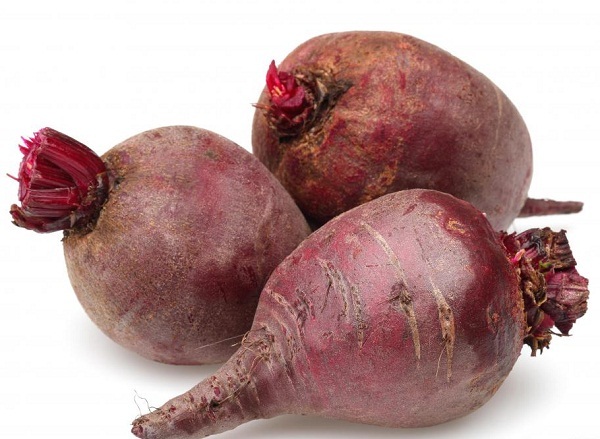 Organic beets are so sweet; soup does not require any additional sugar. It is a nice option for an occasional menu. It is EASY to make. You can keep it refrigerated for several days. Freshly cut greens add fresh vibrant energy to every serving. A slice of boiled egg could be a nice protein addition to the soup if desired. Bake whole unpeeled beets covered in foil for 1 hour. Remove skin from cooked beets. Grind beets. Place them in a cooking pot, add water, sea salt and heat it up. Let it cook for 10 minutes. Add freshly squeezed lemon juice and sliced kale. Taste for salt and lemon.Turn borscht of and let it cool off. Add freshly sliced radish, cucumber, dil l, parsley, scallion to your plate before serving. A spoon of cashew sour cream can be added if desired. Cashew sour cream is rich, tastes wonderfully, completely vegan / parve and easy to make. Cover cashews with water and soak for a few hours, or overnight. Pour off all water, and place nuts in food processor. Add 1/4 cup cold water, sea salt, vinegar and freshly squeezed lemon juice. Puree for 3-4 minutes or until completely smooth and creamy in consistency. Can be refrigerated in a glass container for a few days.